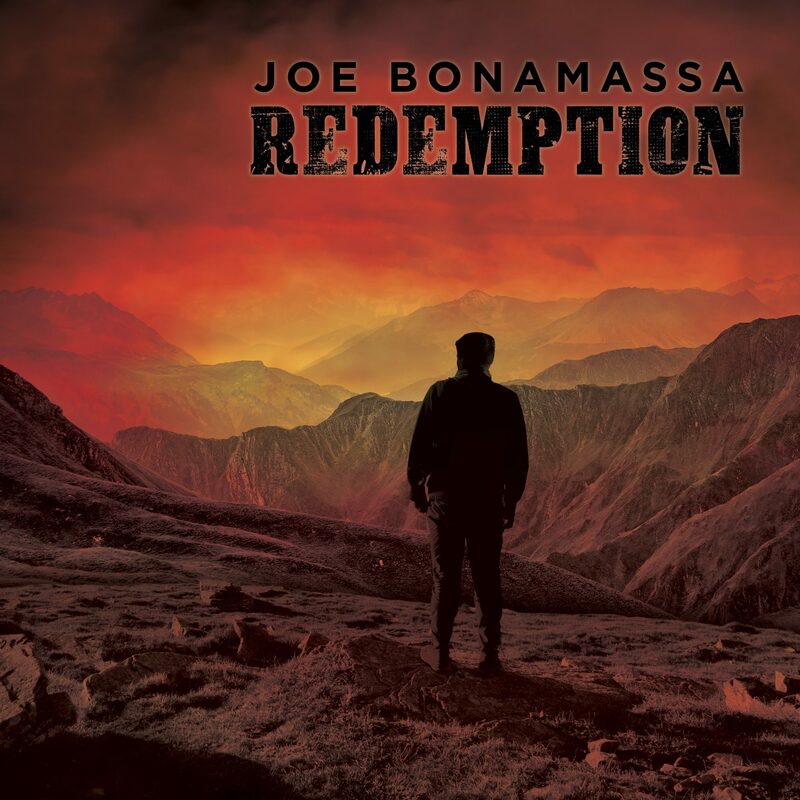 Before getting into the bones of this review, I have to make a confession…I am a little biased where Joe Bonamassa is concerned. I own, on CD, everything the guy has ever produced. From his mainstream debut in the short-lived Bloodline, through his extensive solo canon, his Rock Candy Funk Party stuff (although this isn’t played regularly), his Beth Hart collaborations, and I even bought a Sandi Thom album where he played on two tracks…he was romantically attached to her at the time, and their version of Need Your Love So Bad is actually very good. I will have to wait for the deluxe CD edition to arrive before I can hoover up all the guitar geek information he always shares about which of his ridiculously extensive guitar collection appears on which tracks…sad, maybe, but it is fascinating to read which ones he uses and listen out for their sound and try to understand why it makes such a difference. So biased, yes, although I promise I will remain objective as I take you through his latest release, Redemption. This is his 13th solo studio album and as with the last two, consists of all original material, and writing credits are shared with some standout composers – James House, Tom Hambridge, Gary Nicholson, Gordon Kennedy and Danny Flowers. There is a major, perhaps surprising, change in approach on this album with, at long-time producer Kevin Shirley’s suggestion, two additional guitarists providing the backing for Joe. Kenny Greenberg (Nashville based writer, producer and player, he has appeared on loads of albums including Buddy Guy and Joe Cocker) and Doug Lancio (another Nashville based player, best known for working with Patti Griffin) leave JB free to concentrate on his playing and, I guess, vastly reduce the number of overdubs required to complete the songs. This freedom has released JB to be even more expansive and creative in his playing. The 12 tracks reflect his recent experiences, as Joe explains… “It’s this yearning to redeem yourself after this tremendous loss and this tremendous feeling of pain”. It seems he has gone through a pretty rough time emotionally and the pain is reflected in some aching lyrics. The album opens with a nod to Led Zeppelin as the Rock And Roll drum intro leads to a very different song. Evil Mama, replete with horns has a heavy riff and driving bass line that quickly lodges in the mind. The bridge is cleverly understated and complements the backing so it sounds almost orchestral, before a stinging JB solo proper reminds us how good this guy is. The rockabilly merged with rock ‘n’ roll King Bee Shakedown ups the pace and gets the foot tapping and then a solo of such ingenuity that I immediately hit replay as the slide slid silkily across the strings. Molly O’ has the sound of the sea and creaking rigging before it moves into pure rock with a BCC like heavy riff reminiscent in feel and emotion, of The Battle of Hadrian’s Wall off BCC2. Deep in the Blues Again is chock full of sadness over a surprisingly light and buoyant guitar progression. Sitar like sounds provides a mystique behind a fluid guitar solo. Self-Inflicted Wounds continues the painful recollections over a melancholy, sparse backing. The solo is as infused with emotion as the words as JB wrings the neck of the guitar to send shivers down the spine: as does the solo on the outro. Pick Up the Pieces is a surprise from the first note as the piano and the beat conjure a late night session in a jazz club. It comes across as a bit sleazy, in a good way, as the sax drips like a guttering candle over the whole thing, and the acoustic slide perfectly fits with the mood. The Ghost of Macon Jones changes the feel again with a rapid drumbeat; there are some atmospheric keyboards and the vocals are a duet with the Nasvhville based country singer, Jamey Johnson who harmonises in a lower register behind JB. The guitar solo has a country feel as it’s picked over a tale of a “rural renegade”. On first listen, this is the weakest track, but repeated listens, particularly the solo, reveals such depth and the piano and organ are great. Just Cos You Can Don‘t Mean You Should, complete with horny horns, channels Albert King for a blues-rock song of quality. The solo is an example of how to use all of the frets and bring an emotion to the exercise especially when, toward the end, JB hits the wah pedal. The organ solo is also sheer brilliance and leads to the second JB solo reflecting, but not reproducing, the first. The sense of loss behind the album unfolds in the opening lines of the title track, Redemption, ‘She took the fire as she was leaving, no forgiveness and no confession, now I’m sifting through the cold grey ashes, looking for peace and my redemption.’ The start sends shivers down the spine as the slide opens the story backed by a subtle and clever bass line. The gospel effect of the chorus adds to the shivers as JB pours his heart out and his soul into this beautiful song. The central part, behind a brilliant wah solo, has a feel of Kashmir or Perfect Strangers to it, which distracts slightly but is forgivable as the rest is so damn good. I‘ve Got Some Mind Over What Matters is up next, with a standard blues pattern and a hint of Stones In My Passway (the Robert Johnson classic JB covered on Driving Towards The Daylight). That is forgiven as the playing is so varied and engaging that it dispels comparisons. The next one is a bit of a surprise as Joe rarely records just himself and an acoustic yet, apart from some stunning. Yet on the heart-breaking tale of Stronger Now In Broken Places which promises that things will be better over time, there is only Kate Stone on the handpan: this is a sort of drum made up of two metal shells glued together and played with the hands. It’s based on a similar instrument, The Hang, which is itself based on the Caribbean steel drum. (Check out her album, Urban, should you wish to hear more). It does sound a little bit like a Marimba here, but it has a lot more to offer when she really gets going! Midnight Oil’s Jim Moginie apparently provides “soundscapes” which, I guess are the keyboard-ish sounds in the background. Typical JB next as he closes the album with a more traditional blues-rock song called Love Is A Gamble. Horns again add weight to the stop/start sections in particular and the piano is just right to give this authentic blues even more authenticity. The solo is sublime with a Kossoff feel, especially in the sustained notes. At other times it reminds me of early Leslie West, although it is all Joey B and provides a solid finish to this wide-ranging album. This isn’t radical, it isn’t revolutionary, but it is evolutionary and it shows Joe’s remarkable ability to mould the blues into different shapes whilst keeping the edge he has always had. Comparing this to his previous work I guess is like comparing his albums, A New Day Yesterday to Black Rock. Different but still quintessentially Joe Bonamassa and I, for one, am immensely grateful for that. Let us not forget either the major part that the skill of Fig, Rhodes and Wynans continue to bring to Joe’s studio and live performances: they are brilliant at bringing the songs to life and contribute massively to the light and shade this album delivers (as do the guests). If you love blues of various hues, played impeccably, you will love this…and yes, that is an objective view. Recorded at various locations including, Blackbird Studios, Nashville TN, The Cave Australia, Sydney, Studio At The Palms, Las Vegas, Criteria Hit Factory, Miami and Addiction Sound Studios, Nashville.